Dr. Steve and Dr. Joe's parents, Dr. Mike and Lynn Beyler lost a significant amount of weight three years ago. Everyone is amazed and asking questions about how this was accomplished. Good News! 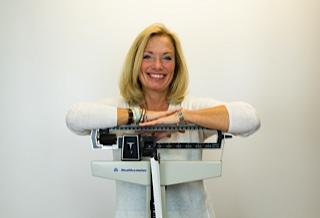 Lynn Beyler has prepared a HCG weight loss program so that you can do it too! Lynn is great coach and will make sure you are successful. The HCG weight loss program uses a hormone that makes your body drop 0.5-1.5 pounds per day. Dr. Mike lost 54 pounds in 40 days, Lynn lost 28 pounds in 40 days. You too can now take advantage of this great life-changing system. Give us a call today at our Madison clinic to make an appointment. Check out the HCG Weight Loss Overview for more information. Doctors have used HCG for many years in order to help women experiencing hormonal issues or fertility problems. Researchers have found that HCG can actually help the body burn more fat and can be used to aid in weight loss when combined with a healthy low calorie diet and a moderate exercise routine. Dr. A.T.W. Simeons was one of the first to develop and study these effects on people, and devoted his life to studying obesity. This is certainly the key to Dr. Simeons' discoveries: HCG helps people lose weight by releasing the ABNORMAL fat storage pockets in your body, allowing the fat to be burned as fuel. (You could not acheive this result without the use of HCG.) When combined with Dr. Simeons' diet protocol low calorie diet, one can reasonably expect to lose a pound a day! The HCG Diet Protocol was written and discovered by Dr. A.T.W. Simeons.